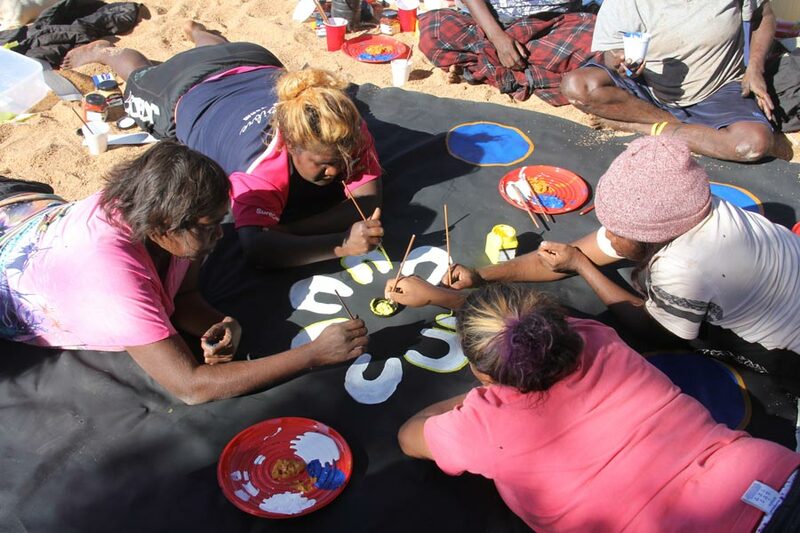 Budadee supports community development initiatives within Nullagine, Yandeyarra, Marble Bar and Port Hedland. A particular focus is placed on listening to elders and the broader community, identifying needs and designing projects in collaboration with the community and regional stakeholders.The Irrungadji (Nullagine) arts projects emerged from ongoing conversations between Budadee members and senior law people at the Irrungadji community who have strong cultural and family connections. 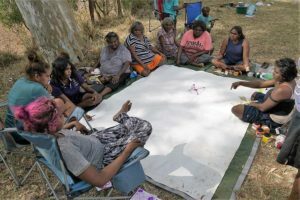 Elders approached the Foundation with the desire to record and preserve endangered cultural information about sites and stories in the Nullagine region. 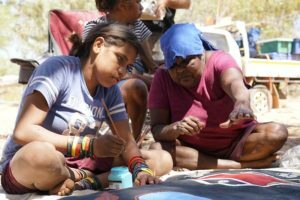 What has emerged is a highly successful intergenerational teaching model that sees up to four generations of people spending time on-country together to share cultural knowledge through the medium of traditional arts practice, storytelling, song, dance and other forms of cultural expression. In addition to serving as an intergenerational teaching model, the senior Irrungadji women have designed the projects with the hope of building economic opportunities for the younger women who because of their gender, are economically marginalised by the lack of culturally appropriate employment choices. Senior men residing in Nullagine are currently collaborating with the Foundation to design and deliver bush craft projects. 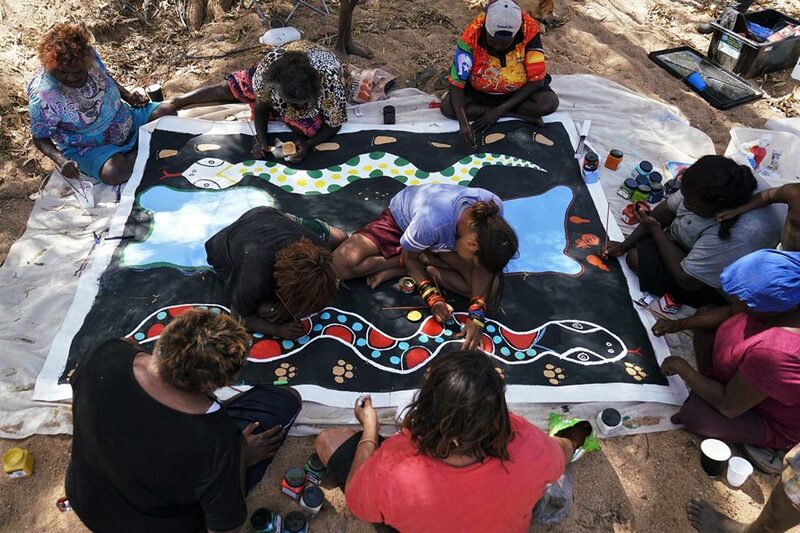 Some successful projects include the NAIDOC Arts exhibition with Atlas Iron in Perth (2017), Culture on Canvas (2016), NAIDOC exhibition and workshop at FMG’s Cloudbreak mine (2016), Irrungadji Mural (2015), Irrungadji Weaving the Leaves (2014) and the Irrungadji Women’s Cultural Project (2014).